What is the significance of performing Hajj? Hajj is the fifth pillar of Islam and an obligatory duty for every Muslim if he/she is financially and physically capable of undertaking it. Every year millions of Muslims gather in Makkah between 8th and 12th Dhul Hijjah to fulfill their duty to Allah (SWT). 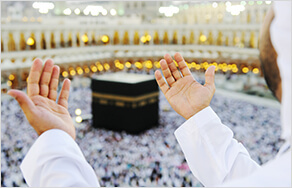 Pilgrims go through physically-demanding activities (rituals) and seek forgiveness from Allah. Hajj boosts trust and love for the Creator Allah (SWT) and His Messenger (pbuh). It reminds a believer about his obligation to Him and to rely on His plan with complete mind, heart and soul. The historical roots of Hajj go back to the times of Prophet Ibrahim (AS) when Allah ordered him to leave his wife Hajira (RA) and son Ismail (AS) in the deserts of Makkah. Hajira (RA) ran desperately between the mountains of Safa and Marwa in search of water for her son but she found nothing. On her return to her son, she found the baby scratching the ground and a water fountain sprang forth. 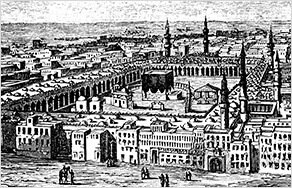 Prophet Ibrahim (AS) was later commanded by Allah (SWT) to build Kaabah here and invite people to pilgrimage. 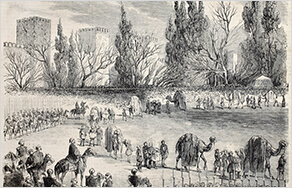 Prophet Mohammad (pbuh) performed Hajj with his companions in 630 CE when he travelled from Medina to Mecca for the annual pilgrimage. Hajj must be performed with purity of intention and full dedication. It is obligatory for every Muslim once in a lifetime, but there are certain set of conditions for a person before he/she undertakes this spiritual quest. One must be an adult. One must have enough provisions for the journey i.e. food, accommodation and transport through Halal (legitimate) means. One must have enough savings to support the cost of living of the family members left behind. One must also set oneself free from every financial obligation and not carry any liability. One must set out for Hajj with pure intentions solely for the sake of Allah. the journey of a lifetime?